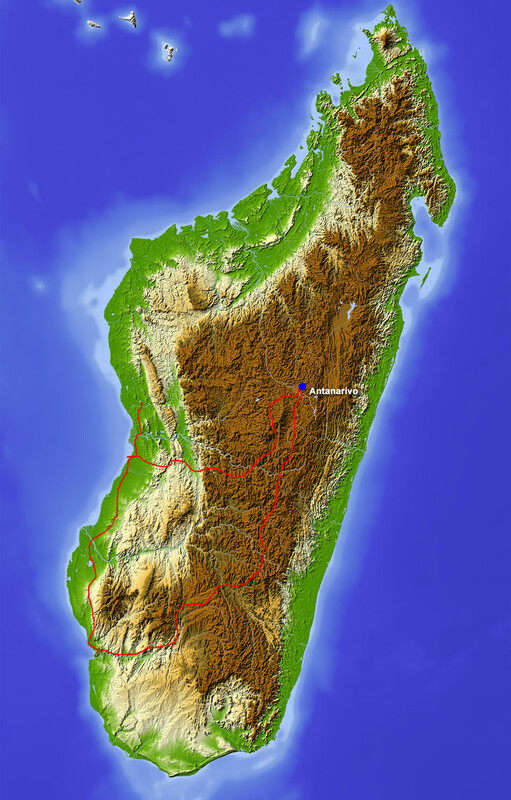 Madagascar is probably most widely known as the title of a series of funny animation movies. For our purpose it is a large island that belongs to the African continent, though the majority of its inhabitants descend from the first settlers who were seafarers from Borneo, Indonesia. It is a land of extreme climates, up in the eastern highland regions the climate is humid, whereas the central highlands are drier and cooler, and the climate lower down in the southwest is a mostly semi-arid one. Its fauna is unique: 90% of it’s wildlife is not found anywhere else on earth. 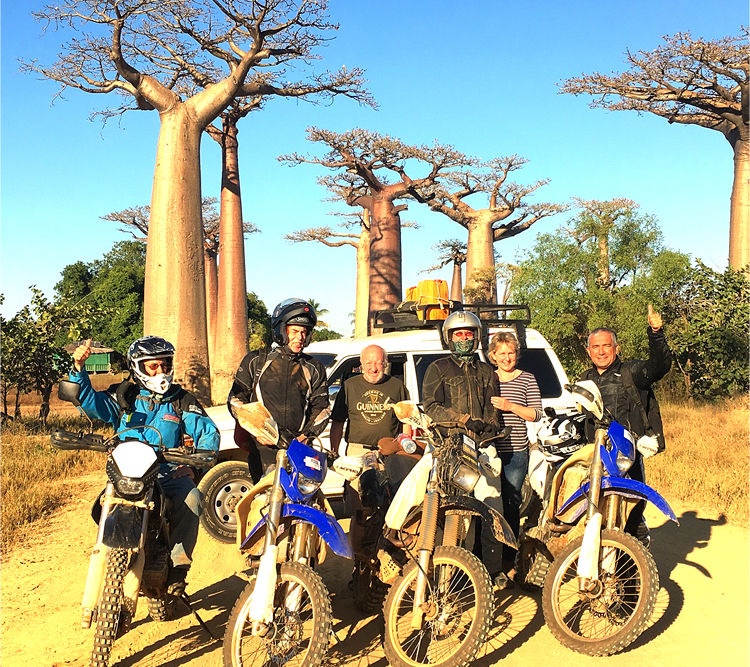 We begin our journey in the central highlands, in the capital Antanarivo, and after a daytrip visiting Madagascar’s famous lemurs and an ancient palace, we ride on eastwards. We’ll visit the beautiful Tsingy nature reserve and Isalo National Park; from here we’ll ride the bikes on a lengthy off-road route along the West coast, go on a boat trip for some whale-spotting, and sail through the Tsiribhina gorge, then on to take our bikes on a series of adventurous routes. A varied tour through solitary lowlands and beautiful mountain regions.